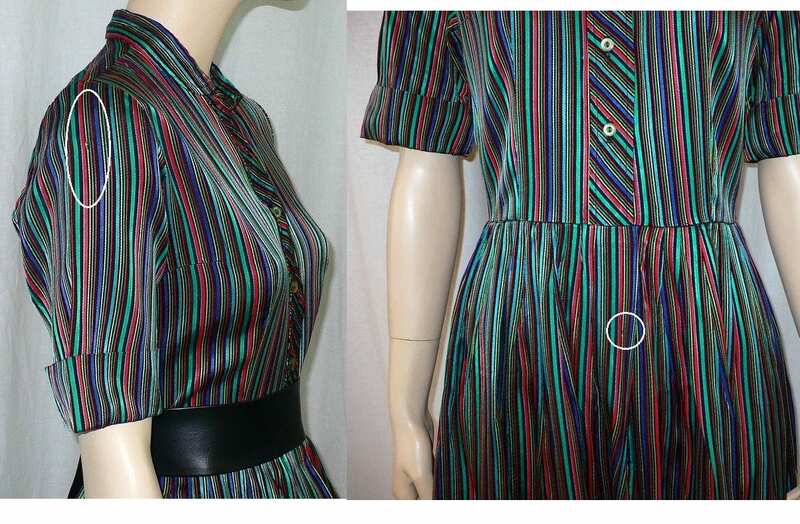 Striped Delight! 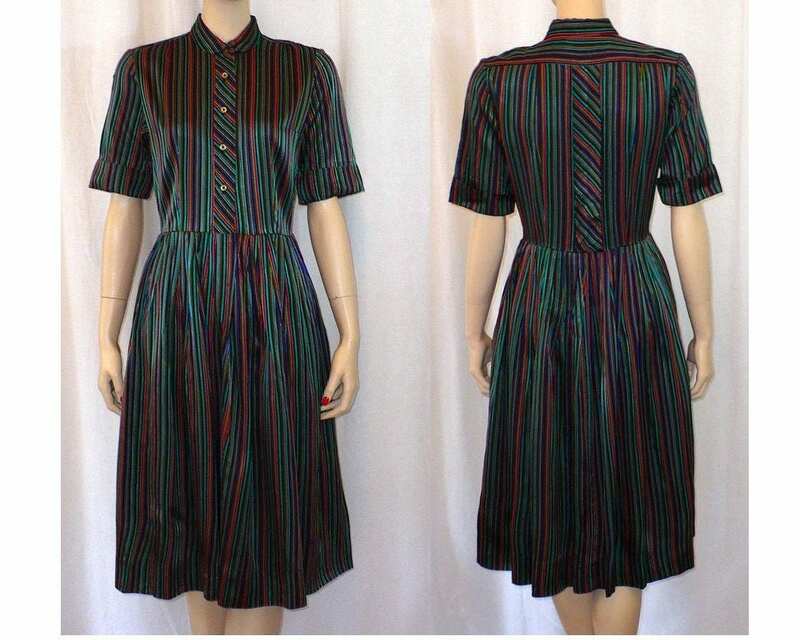 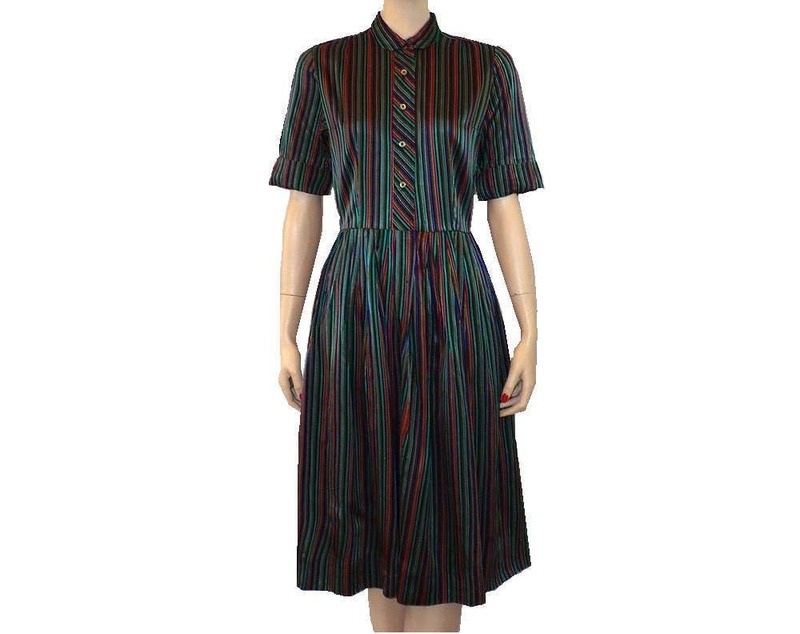 - glowing jewel-tone stripes go up and down and all around this beautiful shirtwaist! 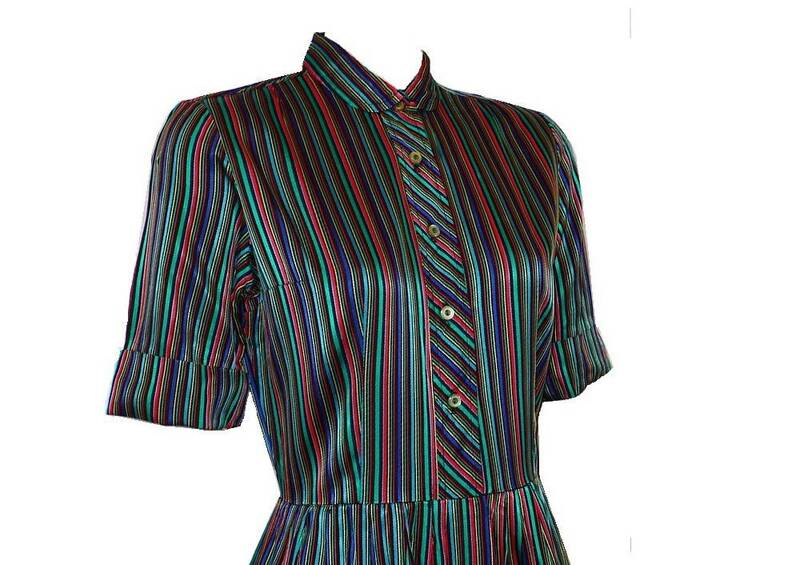 Prettied even more with a Peter Pan collar. 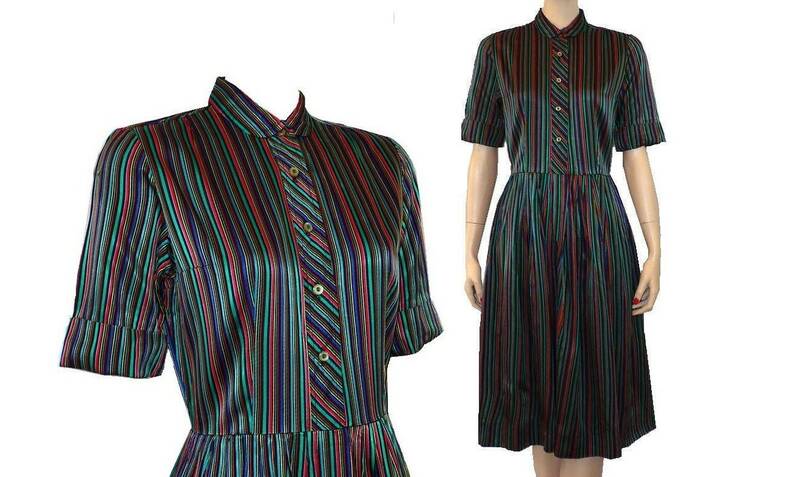 You can wear this anywhere - perfect all occasion dress.